Abstract: The Airwheel brand name continues to mean a good value, high quality and style. Featuring convenience, unique auto-follow and auto-folding design, the Airwheel H3S folding electric wheelchair will get you where you need to go in style. Since its foundation, Airwheel catches trend and starts from changing the public's trip mode in a more convenient and greener way, leading to a transportation revolution. The key hinges on its creativity, which does not mean how many high-techs adopted by manufacturers or how innovative the shape is. The creativity is rather to satisfy riders' demands and update the way of traveling. The new product H3S lightweight folding power chair is an exemplar. 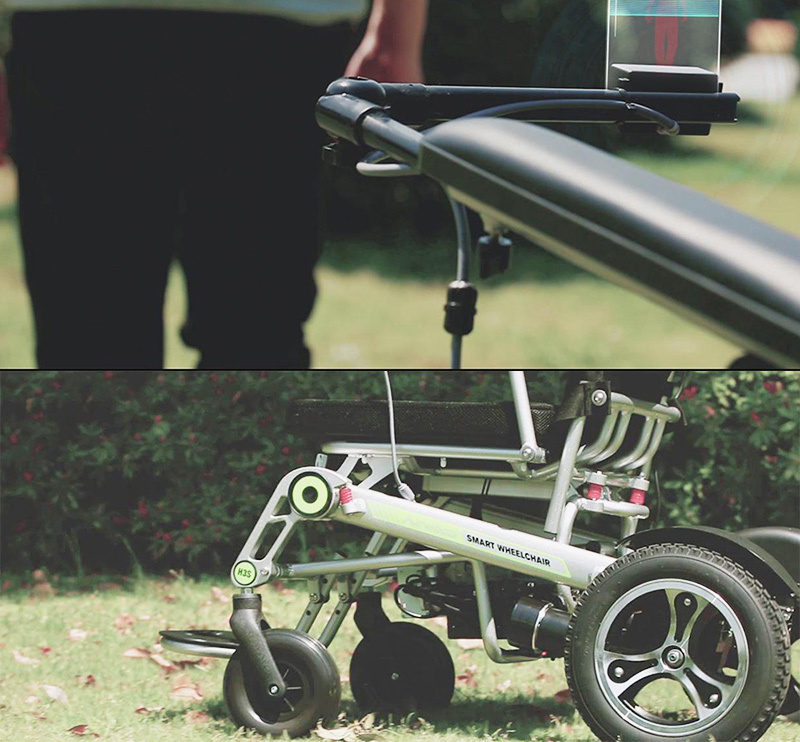 From the ground up, Airwheel H3S is stylish and well-constructed. Enhanced performance and comfort, along with feather-touch function button, allows you to enjoy light-weight travel and independence on the go. With an increased weight capacity of 130kg, and a sleek, bold look, the new Airwheel H3S folding electric wheelchair makes travel easy. With adjustable armrest and fully-adjustable, anti-skid petals, it's convenient too. H3S's high-powered, long-lasting, lithium-ion battery charges fully about five hours, and takes users farther than comparable offerings. H3S is able to provide a flexible riding experience, due to the omni-directional wheels with 360° steering ability. Also, its 12.5 inch rear wheels and 8 inch front wheels are specially designed which minimize roll angle and optimize grip effect, ensuring a smooth and comfortable ride even on bumpy roads. Moreover, H3S automatic visual following chair saves much trouble when riders arrive their destination, with the automatic folding system making H3S fold and unfold easily just pushing the button. 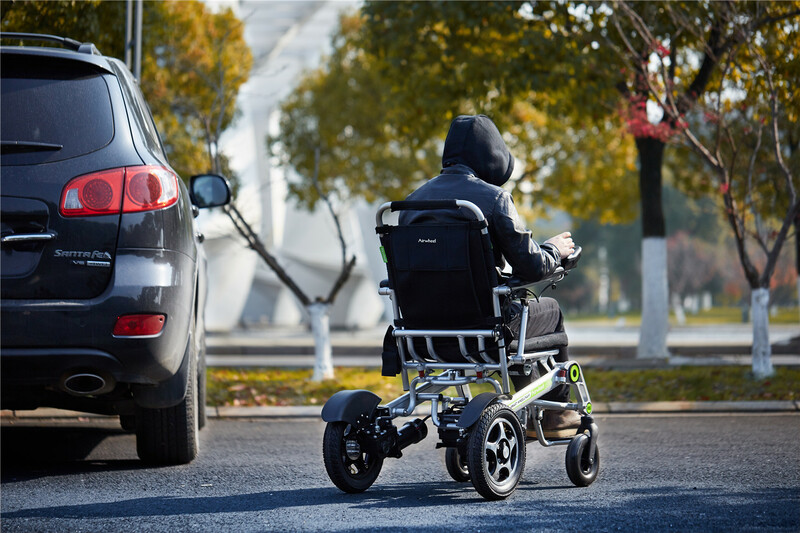 H3S's smart phone app not only indicates the speed, power and mileage, but also allows rides to control it remotely and to make riders' surprise, H3S smart motorized wheelchair can follow rider automatically by adopting the visual tracking and sensor technology. Hence, if you're in the market for a durable, efficient power chair, the Airwheel H3S auto follow wheelchair is hard to beat, as it is more than your daily transport, but also a free lifestyle. Previous：What can the Airwheel SR5 self-following suitcase do for you?